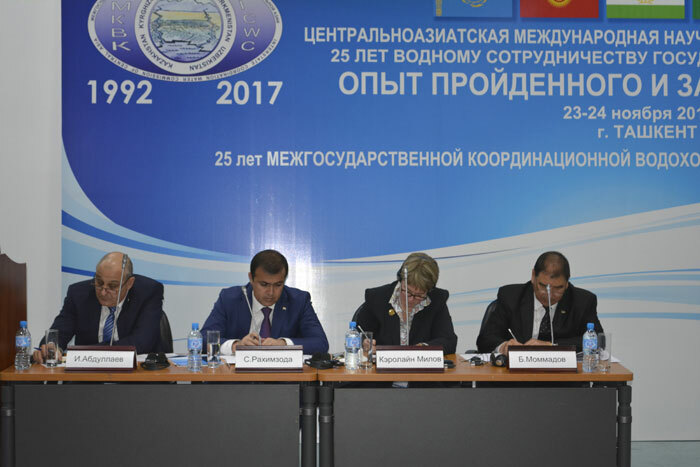 Co-chairs: Rakhimzoda S.N., Mommadov B.A., Milow C., Abdullaev I.Kh. At the opening of the roundtable the co-chairs underlined the key role of water for the region and the importance of all-round implementation of IWRM as a tool for green growth and adaptation to climate change. More than 50 persons participated and 12 presentations were made in this roundtable. Mr. N.Mirzaev, leading expert of SIC ICWC introduced the participants to lessons and issues of implementation of IWRM in Central Asia, to SIC’s vision on enhancement of the institutional structure of water-management organizations at all hierarchical levels and capacity building of existing IWRM entities for improvement of their efficiency. He also noted that for more effective water pricing, irrigation service fees should be based on delivered volume of water. Mrs. G.Imasheva, Head of Water Use Regulation Department at the Ministry of Agriculture, Republic of Kazakhstan, told in her presentation about implementation of IWRM in Kazakhstan, which hydrographically was divided into 8 water-management basins, where the key role in water management was played by basin inspections – the platforms for water discussions with involvement of stakeholders, community organizations and local authorities. At the national level, the Committee for Water Resources is responsible for water management. Additionally, the Interdepartmental Council for water management is established at Deputy Prime Minister to coordinate activity of all public water agencies. 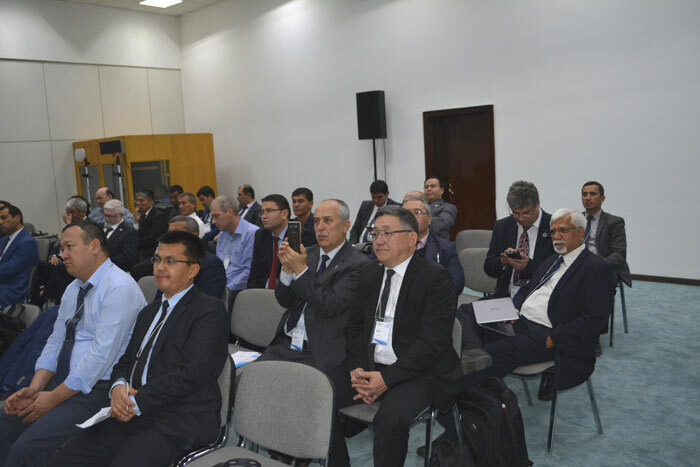 Mr. A.Kamoliddinov, Deputy Director of the Project of Integrated Zarafshan River Basin Management presented the report, where he addressed the role of water for Tajikistan and the issues and prospects of IWRM in Tajikistan. He noted that the work has been underway on the establishment of basin water councils. The report by Mr. R.Mamutov, Head of Central Administration for Operation of Water Infrastructure and Capital Repairs at the Ministry of Agriculture and Water Resources, Republic of Uzbekistan covered actions taken to implement IWRM for achievement of strategic development goals, adapt to climate change, create conditions for water security, crop diversification, irrigation system modernization, land reclamation, and water saving in all economic sectors, including in agriculture, and apply new irrigation technologies in water management and use. 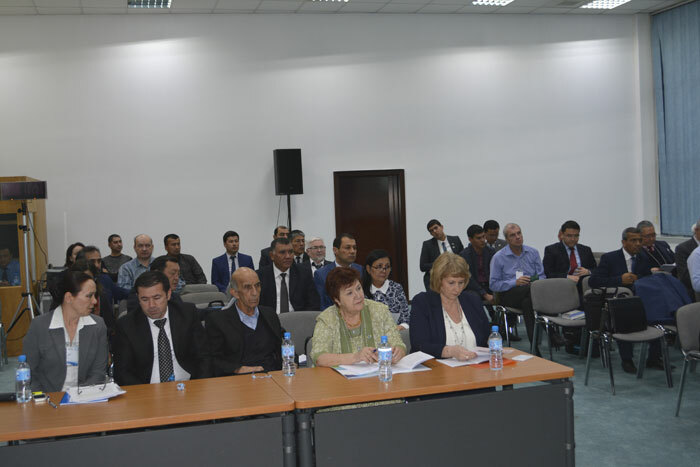 Mr. M.Babadjanov, Head of Division at the Production Agricultural Association of Dashoguz velayat, Turkmenistan, underlined that Turkmenistan has been paying particular attention to climate change. While fully recognizing the importance and urgency of solving the problem of climate change and taking into account a need for sustainable economic development and environmental conservation, Turkmenistan takes measures to combat climate change. In this context, the elaborated National strategy on climate change is a critical step for further activation of efforts in the area of climate change and the prerequisite for sustainable socio-economic development in Turkmenistan. Mrs. N.Agaltseva, UzHydromet expert on climate change, based on the analysis of global climate change, showed that, as compared to 1986–2005, the average global surface air temperature would probably increase by the end of XXI century (2081–2100) by 0.3–1.7°Ñ in scenario RTC 2.6; by 1.1–2.6°Ñ in scenario RTC 4.5; by 1.4–3.1°Ñ in scenario RTC 6.0; by 2.6–4.8°Ñ in scenario RTC 8.51. The results of water assessment based on the REMO climate scenarios indicate to lowering of water resources by 2050 by 6-8 % in the Syrdarya basin and by 10-15 % in the Amudarya basin. 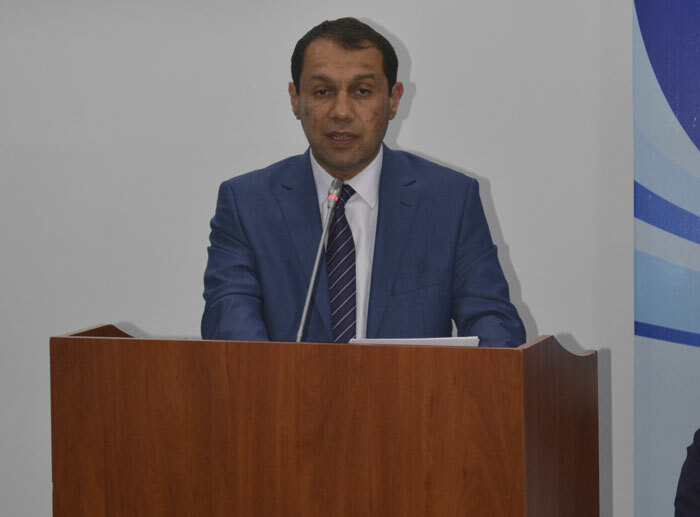 Mr. B. Hajiyev, UNECE Economic Affairs Officer, presented information about implementation of the Project “Adaptation to Climate Change in the Chu-Talas Basin”. The objective of this project is to create a base for regular and strategic actions for adaptation to climate change in that basin and assist the Chu-Talas Commission and local authorities in adaptation. As adaptation measures, it is proposed to ensure sufficient quantity of water, maintain appropriate water quality, preserve ecosystems, improve readiness to climate change, including to natural disasters, and develop capacities for cooperation and institutional reforms. 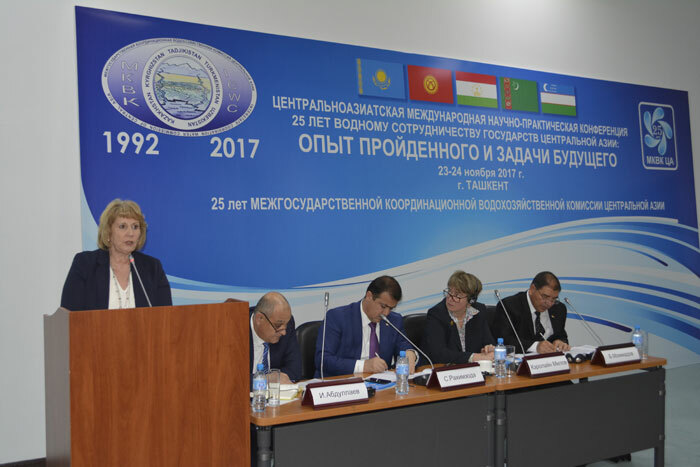 Mrs. O.Islamova, SDC international consultant, told about measures undertaken in Uzbekistan and Tajikistan to reduce water-related disaster risks as part of SDC projects. 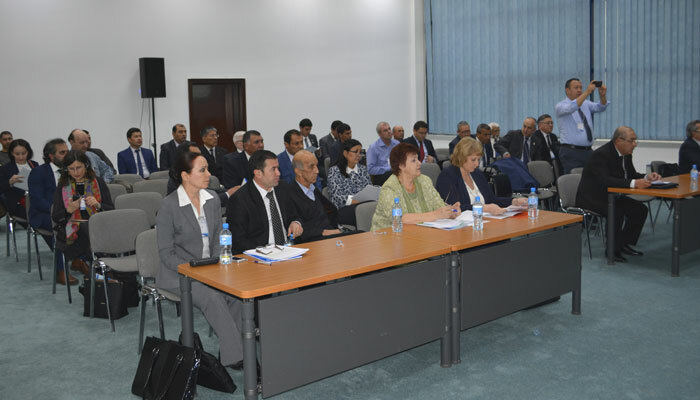 Particularly, the National Water Resources Management Project in Uzbekistan, component 4 works on introduction of early warning system along the Shakhimardansay River and established communication with the Kyrgyz party to cooperate under this project. Similar work is also underway along the Aksu River in the Republic of Tajikistan. 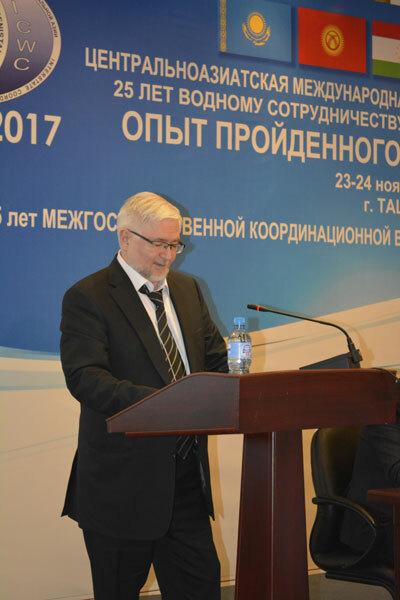 Mr. A.Yakovlev, representative of Hydrosolutions LLC, in his presentation stated the basic principles of modernization, such as systems of dispatching control and management (SCADA) on water reservoirs and head intakes of main irrigation canals, automation of measurements on important hydro gauges, i.e. water balance gauges, big intakes to second order canals, digital transmission of measured data (from automatic gauges by GSM data, from standard gauges by SMS), distributed multi-layered databases. Mr. H. Manthrithilake, International Water Management Institute, underlined that climate change has been among serious challenges for all our activities and the impact of climate change would be felt through water resources. Water management and agriculture cannot follow business-as-usual anymore in the new development scenarios, and the above loads would make us to shift to new approaches. Mr. A.Sorokin, Head of division at SIC ICWC, introduced the participants to the results of a comprehensive research on transboundary water management in the Amudarya Basin for the long-term in the context of changes of climate and other factors and with account of national plans for irrigated agriculture and hydropower development. That study was made possible in the Project “Transboundary water management adaptation in the Amudarya basin to climate change uncertainties” implemented within the framework of the PEER Program with the support of the U.S. Agency for International Development (USAID). The presentation by Mr. B.Moldobekov, Co-Director of Central Asian Institute for Applied Geosciences, showed the analysis of climate data from weather stations located on Abramov, Golubin, and Petrov glaciers in the context of glacial changes in the Talas and Assa basins, changes in average annual long-term runoff of the Naryn Rivers, etc. caused by global warming. Currently glacial degradation is observed in the territory of Kyrgyzstan in form of shrinkage of large glaciers and their disintegration into smaller ones, with following disappearance of these small glaciers. As a whole, the roundtable meeting was held in friendly atmosphere and supported meaningful discussion.